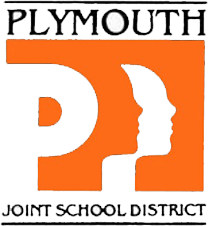 Plymouth High School athletic teams are competing in the WIAA playoffs. You can follow them here! * Advances to the WIAA Division 1 Individual Wrestling Championship Tournament Feb. 21-23 in Madison. Several PHS students are part of the 8th-seeded Sheboygan South Co-op team, which lost to 9th-seeded Waupun 2-1 in a regional Feb. 12 in Sheboygan. No. 9-seeded Plymouth travels to 8th-seeded West Bend East for a regional at 7 p.m. Tuesday, Feb. 19. The winner advances to visit 1st-seeded Beaver Dam at 7 p.m. Friday, Feb. 22, with the regional final Saturday, Feb. 23. Sectionals will be Feb. 28 at Milwaukee Vincent and March 2 in Kaukauna. The Division 2 Girls Basketball State Tournament will be March 8-9 in Green Bay. Regionals will be Tuesday, Feb. 26 and Friday, March 1, with the regional final Saturday, March 2. Sectionals will be March 7 at Port Washington, with the sectional final March 9 at Watertown. The Division 2 Boys Basketball State Tournament will be March 15-16 in Madison. • Explore the Extracurriculars section of our District Report Card to learn more about our history of success in athletics.